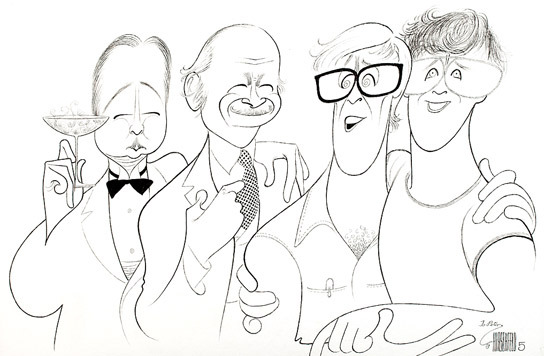 Peter commissioned this portrait of his grandfather, father, brother and himself by the eminent caricaturist Al Hirschfeld. Hirschfeld had many drawings he had made of Robert years before; Peter sat for the artist and brought him photographs of his father and brother. With his typical flair, Hirschfeld made a statement about the degradation of attire through the generations. 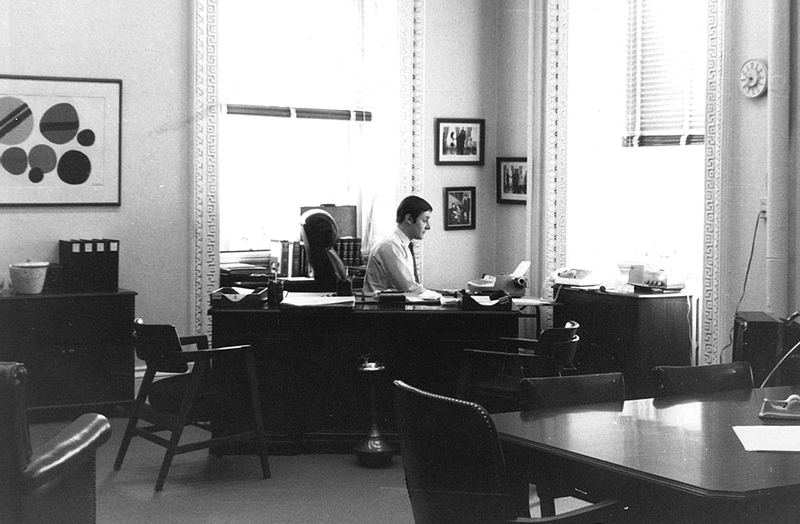 While the pictures he was given of Nathaniel G. and Nat were all in casual, collared shirts, Hirschfeld chose to dress the generations in descending/deteriorating states of dress: Robert wears a tuxedo; Nathaniel a jacket, tie and vest; Peter a collared shirt; and Nat is relegated to a tee-shirt. 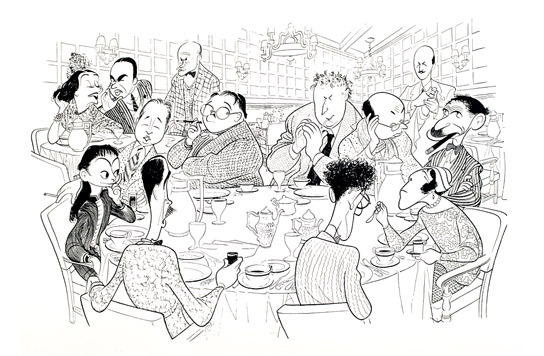 The infamous group portrait by master caricaturist Al Hirschfeld of the Algonquin Round Table. 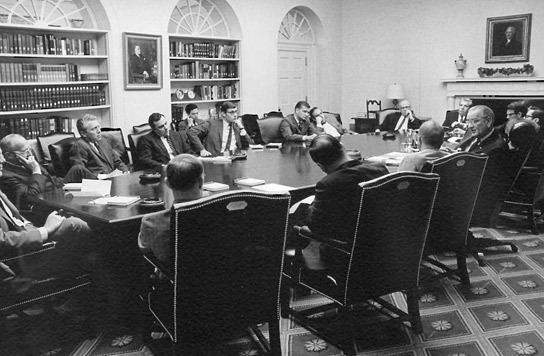 Pictured are: (background) actors Lynn Fontanne and Alfred Lunt; Frank Crowninshield, Editor of Vanity Fair; Frank Case, Algonquin manager/owner and host to the Round Table gatherings; (around the table, clockwise, from far left): Dorothy Parker, Robert Benchley, Alexander Woollcott, Heywood Broun, Marc Connelly, Franklin P. Adams, Edna Ferber, George S. Kaufman, Robert E. Sherwood. 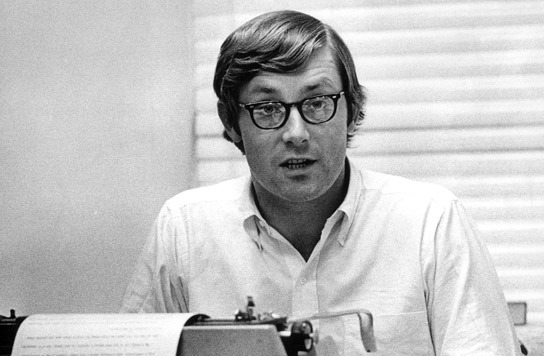 In 1967, Peter and Wendy and his parents attended a ceremony at The White House when their friend Betty Furness was sworn in as Special Assistant to the President for Consumer Affairs. 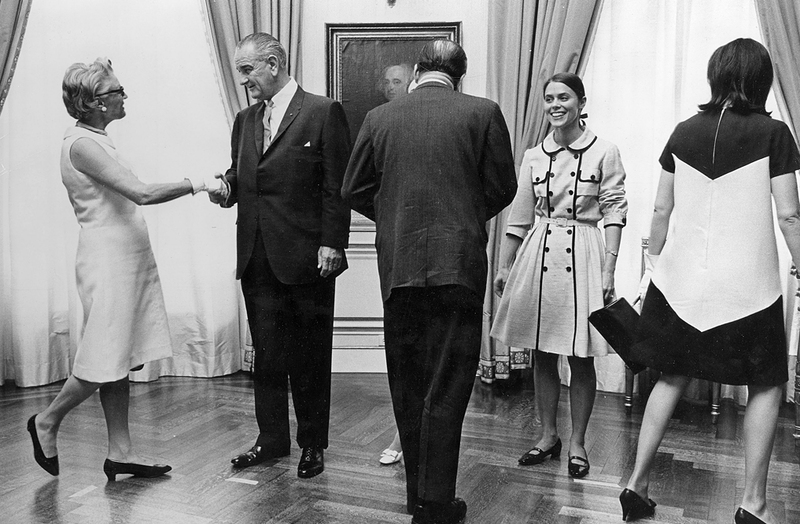 Pictured (left to right): Peter's mother, Marjorie; President Lyndon Johnson; Peter's father, Nathaniel (blocking Betty Furness); Betty's daughter, Babbie Green; and Wendy. 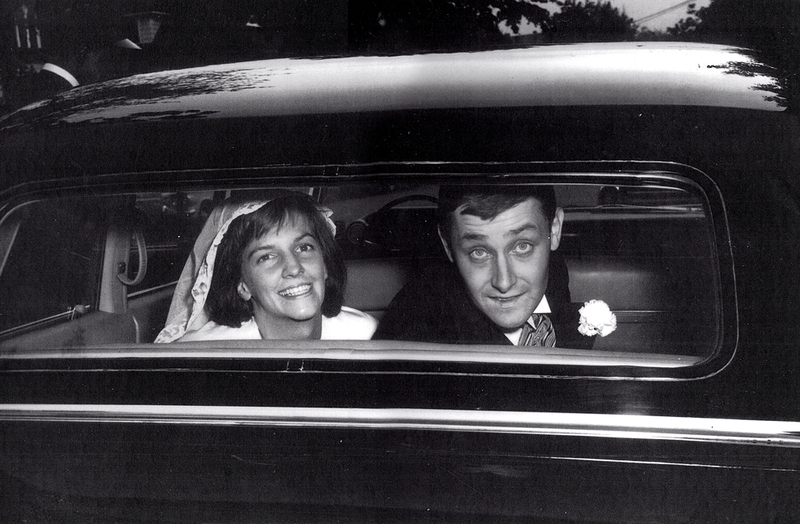 The journey begins – looking back to well-wishers - Wendy and Peter on their wedding day in 1964. Copyright © 2019 Wendy Benchley. All Rights Reserved.